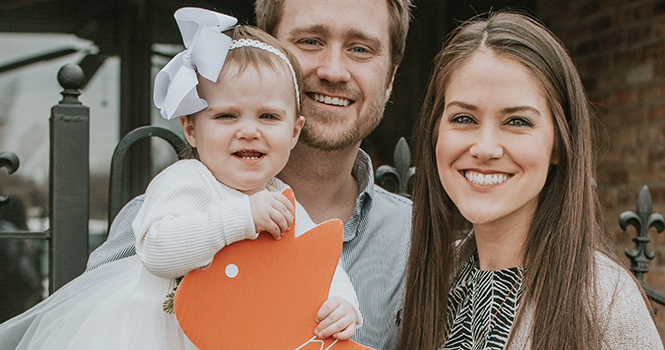 How does a company break into franchising in 2015 and end up with 290 locations and 2,500-plus agents in 43 states just three-and-a-half years later? According to NextHome CEO James Dwiggins, it’s all about giving real estate professionals what they want: the flexibility to maximize profitability, automated technology solutions, and contemporary branding and marketing to support them in the field. But for Dwiggins, it’s not just about racking up numbers—it’s about helping agents be productive and ensuring an exceptional customer experience. We recently sat down with Dwiggins to find out just how the young brand has grown so quickly, and why he feels it’s changing the franchise business. Maria Patterson: NextHome launched in January 2015. Tell us your current size and how the company has grown so quickly. James Dwiggins: It’s certainly been an exciting time for us. We started franchising in 2015 and as of May 2018, we have over 290 franchised locations and 2,500-plus “NextHomies” across 43 states. In 2017 alone, the company closed over 10,000 transactions worth over $2.5 billion in volume. These are incredible numbers for a three-year-old company. MP: How do you explain such tremendous growth in such a short amount of time? JD: Our growth really has to do with four things. The first is our flexible franchise model where franchisees can choose between a one-year or five-year franchise agreement. This length of agreement has never been available in real estate until we introduced it. The second is our variable franchise fees. Members can choose to pay us a flat monthly fee or a percentage of their commission. This allows higher-producing agents to save money by paying us a flat amount each month regardless of the number of transactions they close, while lower-producing agents only have to pay us when they close a transaction. The third reason is our technology platform. Not only is every solution we offer included for every member, but also the product offering provides everything they need to be successful in today’s real estate business. More importantly, it’s completely automated so members can access everything in one location—the data is shared across the entire platform, so there’s no need for duplicate data entry. This is why our technology adoption rate is over 70 percent. 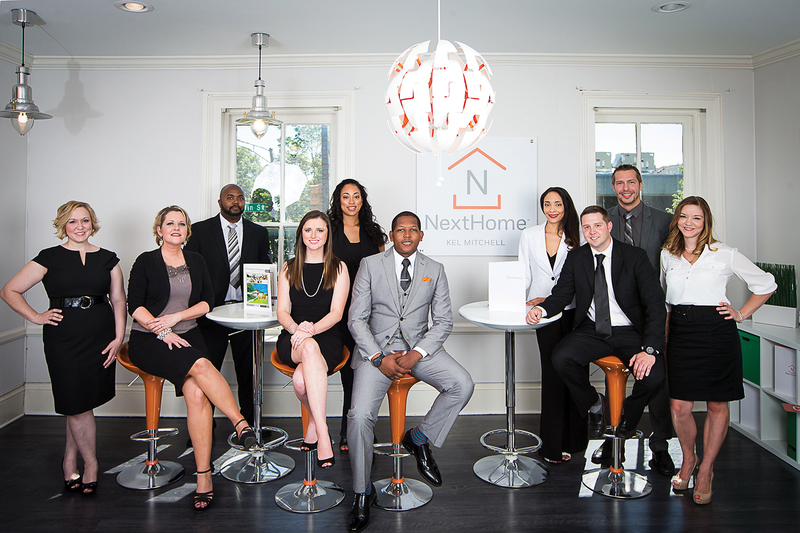 In just 3.5 years, NextHome has expanded to 2,500-plus “NextHomies” across 43 states. The final reason for our growth is our branding and marketing. The NextHome brand is modern, clean, and designed to attract today’s Gen X and Y homebuyers and sellers. We worked closely with the world’s largest independent design firm, Pentagram, to create a brand that truly resonates with today’s consumer. This combination of products, services, and cost structure has provided an opportunity for small- and medium-sized brokerages to be part of something bigger without the significant upfront or ongoing costs of our competitors. I believe this is why we’ve added so many locations in such a short period of time. MP: The average NextHome office is much smaller than traditional brokerages. Why is that? JD: We believe the future brokerage consists of smaller, highly productive offices. We all know real estate is cyclical, and overhead is the one expense you can control. It’s why we teach our franchise owners to keep it low and steer clear of large office locations. There is simply no reason to have an office with 50 desks where only 10 are being used at any point in time. It’s no secret that brokerages across the country are struggling to maintain profitability, and the ones that are in the black have thin profit margins. This is due to large overhead costs, unproductive agents and downward pressure on commissions from a lack of perceived value proposition by the agents. It’s why NextHome continues to increase our value proposition so our offices can justify the fees they charge for agents to be affiliated with them, and thus, help maintain profitability. NextHome believes the future of real estate brokerage lies in smaller, more productive offices. Also, 50 percent of our offices are agent teams who went out on their own to open an office with us, so they’re naturally smaller in size; another 40 percent of our offices are small- to mid-sized independents who join us, and the rest are smaller existing franchisees from a competitor who convert. Unlike our competition, we don’t measure our success by the number of agents we have in the company, but by how much business they do and how profitable they are. We’re confident our members are winning on both of those fronts. MP: You signed on with a major design firm to help develop the Next-Home brand. Tell us about your collaboration with Pentagram. JD: We knew we had to create a modern brand identity, not just another real estate brand lacking intention or emotional connectivity. After studying great brands across the globe, one design firm kept coming up again and again—Pentagram. With offices in London, New York and San Francisco, they’ve created the brand identity for companies like Verizon, Tiffany & Co., and more recently, Mastercard and American Express. When we approached Pentagram to help us build the NextHome brand, they were truly excited to create something entirely different and fresh for our industry. MP: How did Pentagram help define your branding…and what led to the creation of your mascot, Luke? JD: During the creation of our brand identity, we realized that our company name speaks directly to what we do—help people buy or sell their NextHome. It’s a phrase buyers, sellers and agents already use in their daily conversations. 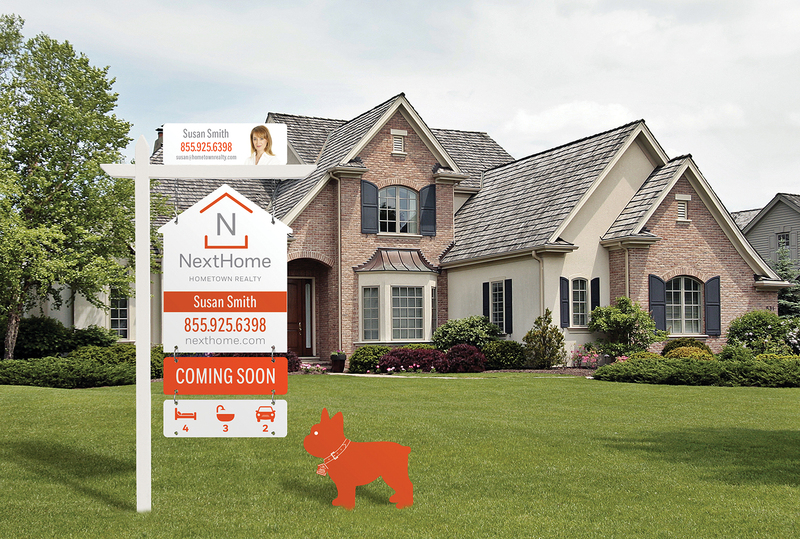 “NextHome” represents forward motion and progress, and speaks to the transition buyers or sellers go through. NextHome’s modern brand identity, including mascot Luke, the orange Frenchie, was developed in collaboration with global design firm Pentagram. Another key component of our brand identity was the emotional connection—something consumers can relate to or talk about. That’s how our orange Frenchie mascot “Luke” was born. We wanted to direct the conversation between consumers and our agents toward something positive and fun during this often stressful process. Think of great brands you’re already familiar with—you emotionally connect to their mascot, not their logo. For example, with Geico, you think of the gecko. With Budweiser, you think of the Clydesdales. With Coca Cola, you think of the polar bears. That’s why we use Luke in all our marketing and especially next to our yard signs. He’s the emotional element connecting consumers to our brand, and gets conversations started all across the country. MP: Companies talk a lot about culture these days, but it’s apparent something very different is going on at NextHome. How would you describe it? JD: Family. Collaboration. Standards. Purpose. 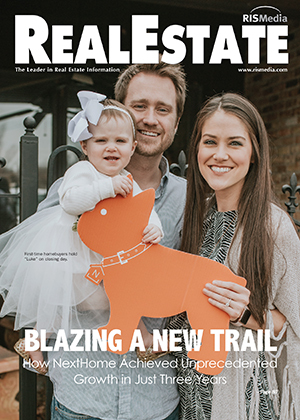 These are the things that define a “NextHomie.” For us, it’s about helping our agents become more productive and, more importantly, ensuring an exceptional consumer experience when working with our agents. MP: How do you protect that culture while growing so rapidly? JD: To create a family atmosphere, start by not recruiting everyone. It’s about the right people who share the same values and vision of the company. Just because someone closes 75 deals a year, it doesn’t mean they’re a good fit for us. Their values and vision must line up with ours for it to be a win-win. This approach of not bringing everyone into the company has led to collaboration that’s simply not seen in our industry. Because our members are so aligned, they don’t view each other as competitors, but partners working toward the same goal. I’ve truly never seen a group of people more willing to share ideas and best practices with their peers, just to help them succeed. MP: How does the company’s collaborative environment benefit the consumer? JD: This member collaboration has led to minimum standards our entire company is expected to follow. For NextHomies, it’s about having the most professional brand presence and agents in the marketplace. You simply can’t have that if everyone is doing things differently at varying levels of quality. We hold each other accountable to these high standards, which, in turn, creates a more professional company. It’s become our purpose. If we’re going to remain at the center of the real estate transaction into the future, we must do more for the consumer, listen to their needs, and embrace change. This is the culture of NextHome, and has genuinely become part of our DNA. MP: What’s your strategy for effectively marketing the firm and best serving the needs of prospects and clients? JD: We spend a majority of our time listening to buyer and seller needs. When something is commonly requested by buyers or sellers, we go to the extent of making it a minimum standard across our company. It’s important to us that clients receive the level of marketing and professionalism they deserve. We then make sure our offices and agents have the products and services to fulfill those needs, and we automate the process of creating them so it’s not a burden of cost or time to our members. It has to be easy for our agents so they can focus their time on client relationships and money-generating activities. For example, we recently rolled out a new marketing automation product for our agents. This new product automatically creates a collection of beautiful marketing pieces for them when a new listing is entered into our system. Our members receive an email containing a single property website, social media posts, flyers and brochures, and postcards for farming, as well as other materials. We also send them new marketing pieces for their open houses, a price reduction, or farming materials after the property is sold. By doing this, we can require these marketing pieces be used on every listing, which raises the level of professionalism in our company, while also not requiring our agents to do any additional work. This is a prime example of how we effectively market the company and serve everyone’s needs. MP: What’s on deck for the future of NextHome? JD: Our primary objective is to continue expanding the franchise into markets we don’t currently serve. We’re expecting to grow to 350-plus locations in all 50 states by year’s end, and our goal in 2019 is 500-plus locations with about 5,000 NextHomies. We’re also planning to expand internationally in 2019 to start our global referral network. We’re very excited to take the brand outside the U.S. We have several more products and services scheduled to launch this year, which will further enhance our technology and marketing platform. And finally, we’re focused on automation and integrating AI into our proprietary CRM system. Our goal is to further automate outreach to prospects and clients for our agents and increase their perceived value proposition and professionalism. These are just a few of the many exciting things on the horizon for NextHome.